Two years later, return to the world of The Remnant Chronicles with Dance of Thieves, the first in a new series by best-selling author Mary E. Pearson, and fall in love all over again. You’ll recognize some of the names, but for the most part, Dance of Thieves focuses both on new characters and on a new part of the world created in The Remnant Chronicles. Set six years after the events of The Beauty of Darkness, Dance of Thieves follows Kazi – a member of Lia’s royal guard – as she and her fellow guards investigate reports that the Watch Captain, the architect of the war, has resurfaced in a small territory controlled by the Ballenger family. The Ballengers consider themselves and their land separate from the other twelve kingdoms. While there, Kazi makes the acquaintance – and makes a fool – of Jase Ballenger, the new head of the family. When she follows to try and smooth things over, they are abducted by slavers and must escape – all while chained together. Everything that was great about The Remnant Chronicles is present in Dance of Thieves. Pearson has a talent for world-building, and with a world as expansive as this one, there was bound to be more to it. Dance of Thieves introduces a whole new host of locations to explore – like Hell’s Mouth and Tor’s Watch, each as different as the three kingdoms we were introduced to in The Remnant Chronicles. With a newly-expanded world and a set of characters who’ve had a completely different upbringing comes more knowledge about the history, and we discover in this book that Morrighan’s, Dalbreck’s, and Venda’s beliefs about the Ancients and who was the first kingdom may be wrong. Kazi and Jase as main characters are fascinating. They have lived very different lives and both have prejudices about the other, as well as their respective kingdoms, but they are forced to rely on each other to escape and survive in the wilderness. They are also both keeping secrets; Kazi is ingratiating herself into the Ballenger family because she believes they know the location of the Watch Captain, while Jase is secretly fostering a mysterious scholar who is developing weapons for Hell’s Mouth. Their relationship develops in a way that feels natural, even if it seems a little rushed. Given the circumstances of their coming together, it’s understandable. The cast of supporting characters are equally compelling, from Kazi’s fellow Rhatan (some of whom you will recognize, if you read The Remnant Chronicles) to the rest of Jase’s absurdly large family. The dynamics in Hell’s Mouth are much different than we’ve seen before, and it operates like none of the main kingdoms do. Just as with The Remnant Chronicles, I couldn’t put Dance of Thieves down. Aside from being invested in Jase and Kazi’s relationship, I was enthralled by the mystery – the disappearance of the Watch Captain, the story of Greyson Ballenger (whose writings open many of the chapters), what other secrets the Ballenger family was hiding. I got swept up in the world all over again, and even though I didn’t have the chance to reread the first trilogy before picking up this book, it felt familiar. If you’re a fan of The Remnant Chronicles, I highly recommend picking up this book, but I think you would enjoy Dance of Thieves regardless. It’s just a fascinating world with well-written characters and a well-developed, exciting story. And with the way it ended… I’m anxiously anticipating the next installment! 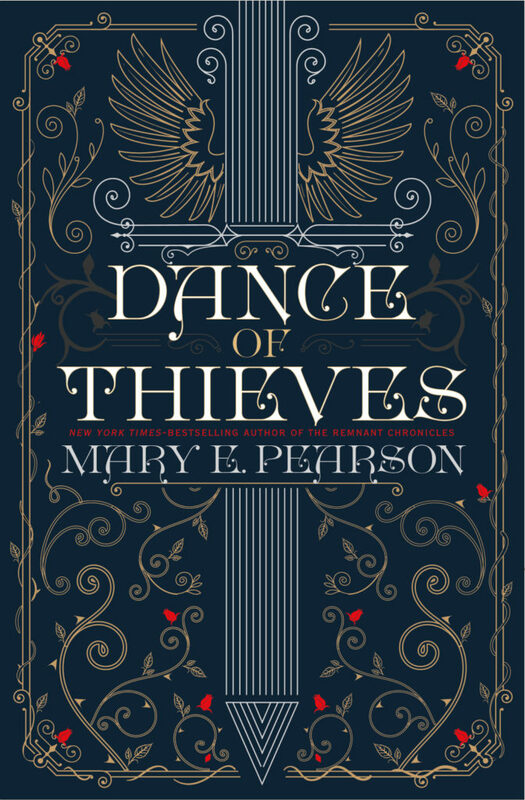 Dance of Thieves by Mary E. Pearson is published by Henry Holt & Company and is currently available wherever books are sold. Previous:Nickelodeon Releasing Two “Paw Patrol” Titles On DVD This September!